If you've been around PPD for any time at all, you know monograms are one way to my heart (the other is definitely through my stomach...I digress...). I love it all: stationary, pillows, sheets, towels, and t-shirts. I mean, Sara and I even hosted a monogram swap! But, if there is one monogram item that I absolutely cannot say no to, it's a piece of jewelry. 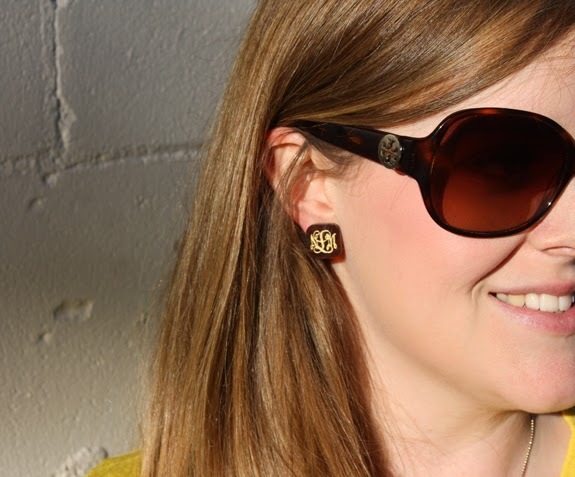 Last week I was gifted a pair of tortoise shell monogram earrings from Happy Clam Monogram, and I must say that I am truly in love. Sure, I know it's bad luck to use your married monogram before your big day, but can you blame me for wearing these?! They're gorgeous, the perfect size, and a great addition to any fall-transition outfit. 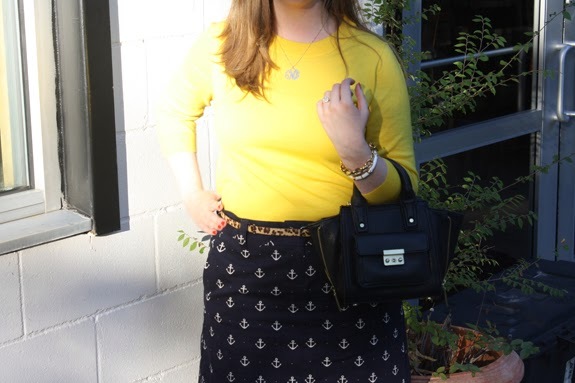 This weekend, I paired them with a tried and true J.Crew sweater, added a fun nautical skirt from Nantucket Brand, and finished it off with my Phillip Lim for Target bag and a few bangles. Boom! I was ready for some beautiful fall weather. Be sure to head over to Happy Clam Monogram for loads more goodies, and check back here on Wednesday for how to incorporate their shop & monograms into your wedding day! 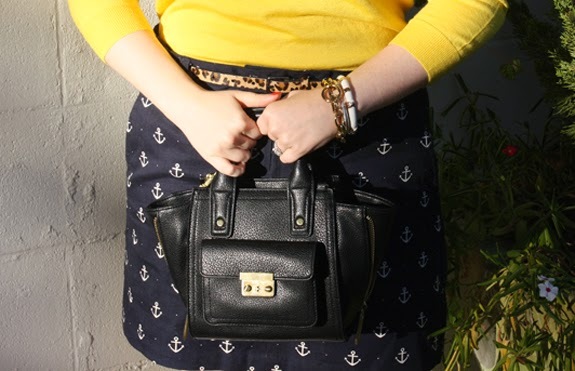 These are super cute–and I'm loving that skirt on you! Love these! Definitely need a pair for myself! Yay for monograms! :) Happy Monday, Doll. Those are great! That will be a great gift to give for the holidays. Love the little touch of leopard! tortious shell and a monogram- perfection!